Listen…can you hear them? Out there, in Trump’s America, the fauxpressed—all eyeteeth and red hats, fight dreams and white skin—are the perpetrators of American hate. It’s the latest iteration of a reptilian fear and brutal subcurrent which has undercut this nation since the beginning, as the great claws of white supremacy raked the land, the resources, the bodies, the culture of the people they encountered. These are the new heralds of the Old System, the one built to ensure white supremacy thrived. And they have found an enabler in the highest office in the land. No more Trump country safaris, no more soap boxes, no more trying to understand. The hateful have had their place in our national conversation; their raw-throated vindictive reverberates in online echo chambers, their motivations and catechisms and mistruths parroted by politicians. 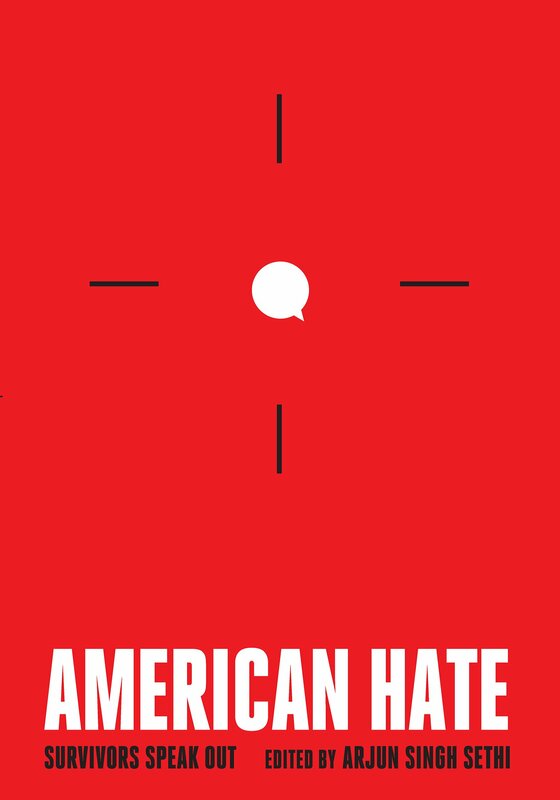 American Hate gives voice to the only people who matter: the survivors of hate crimes in America. It wrestles the microphone away from the frogs and Nazis, dedicating its pages to true tales of violence and hate. 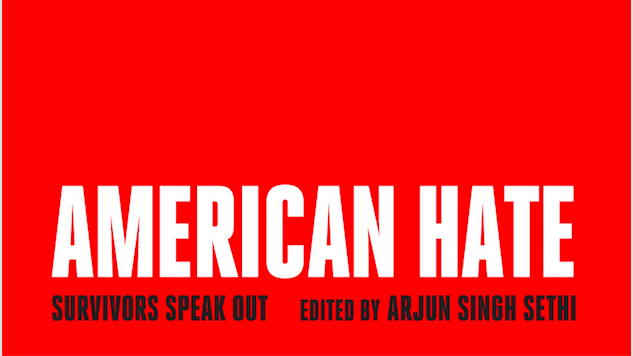 Aside from an introduction and constructive conclusion, even editor Arjun Singh Sethi barely exists between American Hate’s covers. Instead, we learn firsthand from the survivors, whose places of worship have been vandalized, opposed, burned to the ground. People who have been bullied, beaten, murdered, who have experienced the brunt of a nation’s centuries-long tradition of bigotry and history’s even longer scorn. People who have been dehumanized. In choosing to tell the stories in the survivor’s own words, Sethi removes American Hate from the realm of journalism and places it squarely into testimony. By leaving each story in the hands of the survivors, he ensures their agency and empowerment. This is collection as corrective, a black and white anodyne. Sethi ensures the reader’s empathy, providing portrait after portrait of human beings—not victims or soundbites. Those of us with power—people in positions of privilege; people like me—must listen to the survivors’ words. This is the Second War of Ideas, and it is a war we cannot allow the hateful to win. We all should weep that American Hate must even exist. But we cannot ignore it; it should be required reading for schools, for workplaces, for anyone and everyone who has never been etched by the acid blood which runs through this alien nation. American Hate is the new testament which rends the shroud; it is powerful, it is crucial, and we must act to ensure it never needs to be written again.